2. So how do they do it? Well, you don’t have to be a physics buff to know that hot air rises and in your home that can mean wasted warm air sitting at ceiling level whilst you sit shivering below. Believe it or not, air at ceiling level can be up to 30 degrees warmer than air at floor level! Putting a ceiling fan into reverse pushes this warm air down and re-circulates it back into the room, raising the overall room temperature and allowing you to turn your thermostat down a few degrees. Hey presto, cheaper bills. 3. Whilst your ceiling fan is regulating the air temperature in your room it will also be eliminating cold spots and drafts, which again will make you feel warmer in the room. 4. Mounting a ceiling fan at the top of an open staircase can really maximise the benefits. Just as hot air rises from floor level to ceiling level, so it rises from downstairs to upstairs. Using a fan in reverse on the landing at the top of the stairs will push that warm air back down to the ground floor and standardise temperature across the two floors of the house. Instead of being too warm upstairs and too cold downstairs, a ceiling fan will enable you to turn the thermostat down and “re-use” warm air from upstairs. 5. Evenly distributed air temperature can reduce condensation, especially on your windows. 6. The most effective way to benefit from your ceiling fan reverse function is to run it on low speed. You want to gently re-circulate air around the room, not create a breeze. 7. For winter operation, ensure your ceiling fan is running in a clockwise direction as you look up at the fan from below. 8. Remember, Low Energy DC ceiling fan motors use 60% less electricity than a standard ceiling fan so even if you leave the fan on to continually redistribute the warm air, you can still save money. 9. All Fantasia Fan models have a reverse function. 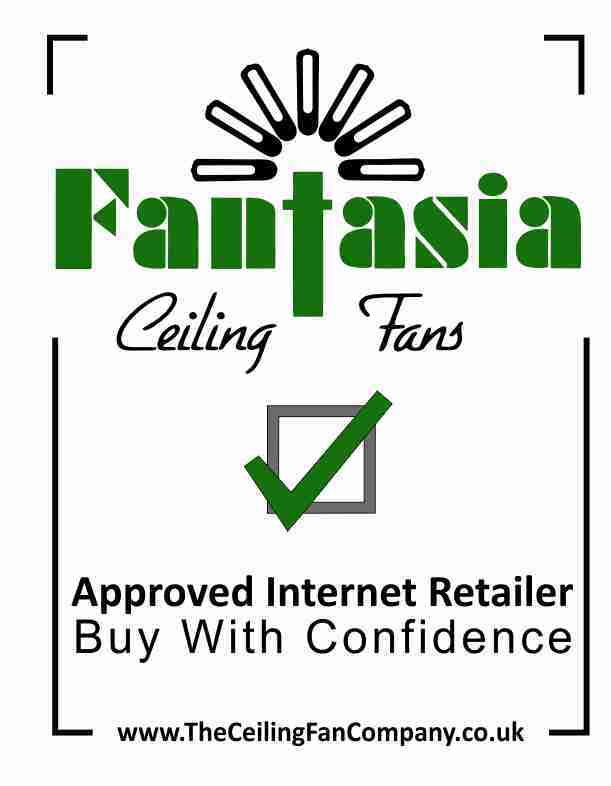 To change the direction on most Fantasia fans you will need to manually flip the switch on the ceiling fan motor housing. However, a number of fans in the Fantasia Elite range have the reverse function on the remote control handset so you could be instantly saving money at just the touch of a button! 10. It is generally a good idea to give your ceiling fan blades a good dust before changing the direction of the fan....... Trust us, it just is!